DOWNTON ABBEY TRIVIA CONTEST!!!! ROUND 4 !! So for Round 4, the process is pretty much the same! All you need to do is be a member of our Ravelry group and click on the link below! It will direct you to Rafflecopter where you can answer this episode’s trivia contest and you can also earn extra entries in the draw by joining up at our other social media sites (it will do it automatically 😉 ) The raffle link will stay active for 1 week and we will draw for the winner and announce their name in the next podcast where we will ask a new question and a new link will be provided, as well as a new prize will be up for grabs! 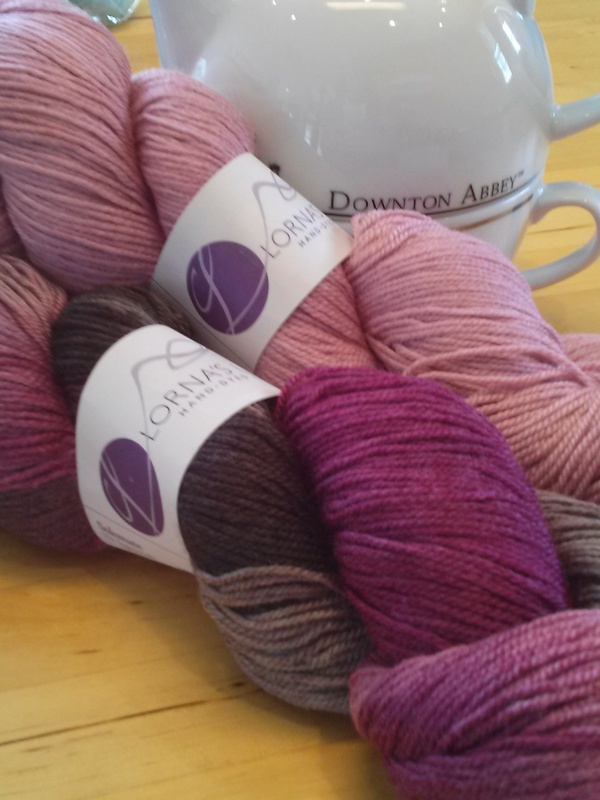 The Prize for this last round is the Downton Abbey Mystery Knit-a-Long Kit from Jimmy Beans Wool and it features two colours of Lorna’s Laces Solemate in ‘Edith’s Secret’ and ‘Old Rose’ as well as the download code for the MKAL!!! and the question is: Who destroyed Mr. Bates’ train ticket? Click below to Enter and Good luck Everyone!!! Val is working on the Crochet Crowd is holding a 2015 Mystery Afghan CAL! She isn’t too impressed with the second clue, but she’s going to hold out till the 3rd or 4th clue to see if she’ll join along. Katy is still working on her Hitchhiker for the never-ending Behmalong with the Knitmore Girls Podcast, and since it’s using rainbow yarn, and double-dipping in KAL/CALs is always fun (and encouraged), she’s also participating in the February Rainbow-a-Long with The Suburban Stitcher Podcast! 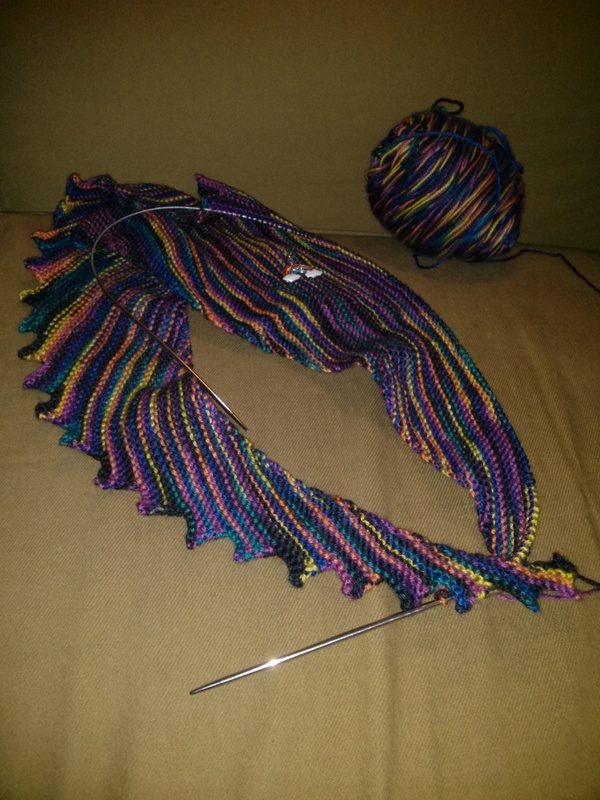 She probably won’t have her Hitchhiker done in time, but the purpose of the rainbow-a-long was to bring colour into an otherwise dreary February and make the knitters happy! And it did that, so Katy’s not upset about not being eligible to win any prizes. 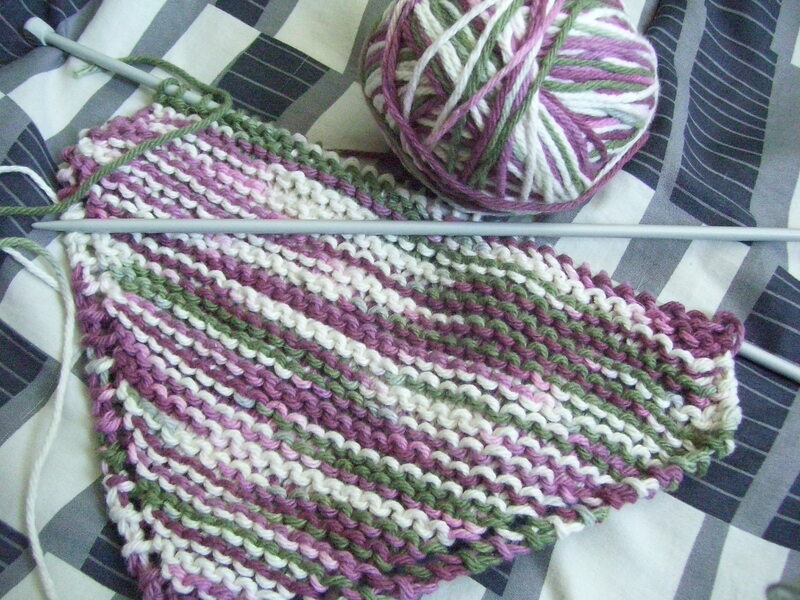 The Sampler Girl podcast is having a Jane Austen Knit-a-long! 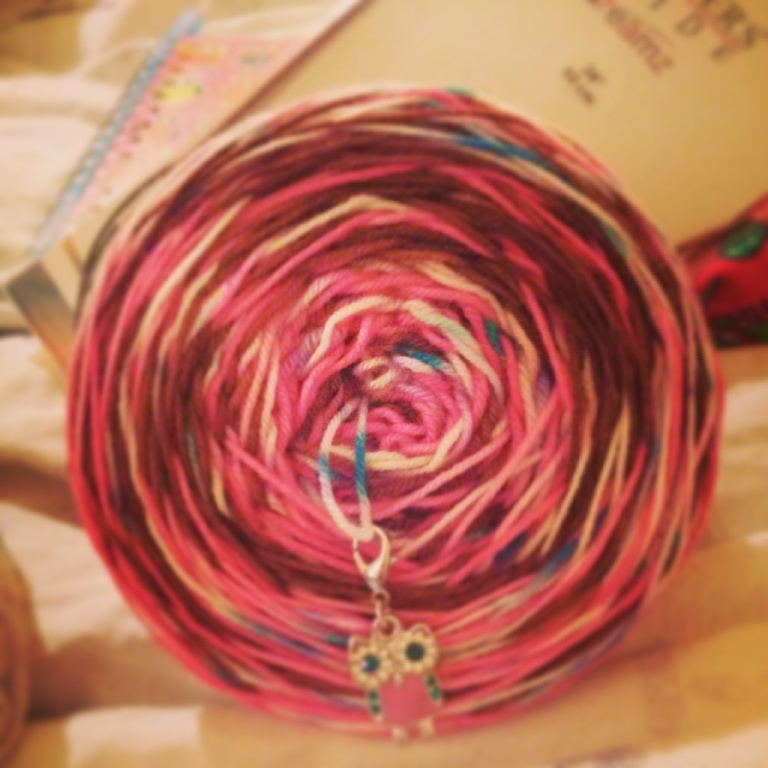 Anything related to Jane Austen, just knit away and enter in her Ravelry group for great prizes! But the deadline for that is February 28th as well, so hopefully you’re seeing this early to squeak in your entry! Valerie finished one of the Broadripple socks using Malabrigo sock in ‘Archangel’ and Katy tried it on (as these socks are for her) and they fit perfectly! Valerie is working on the second Broadripple sock, a new dishcloth using Bernat Handicrafter Cotton in Mulberry, and she’s still plugging away at her Easy Triangle Shawl. Katy is working on way too many things! She cast on the Foolproof cowl by Louise Zass-Bangham using Madelinetosh Tosh Sock in ‘Stargazing’ and ‘Pop Rocks’. She finished the body of the second ‘Snowball’s Chance in Hell’ mitt, now all she needs to do is complete the duplicate stitch. 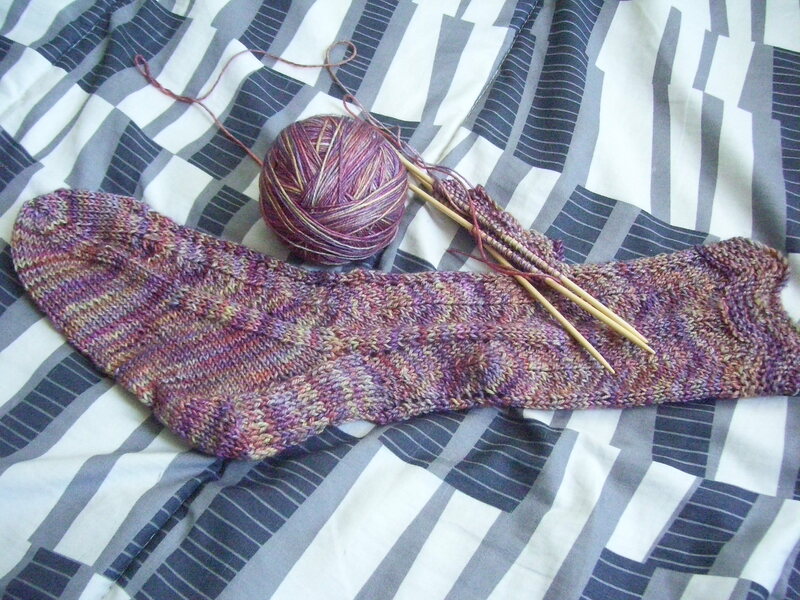 And she’s still working on her Hitchhiker shawl and her husband’s Clockwork. Katy needs more time to visit with Val and other friends and Valerie needs more Katy visits and to see other friends as well. Valerie wants SPRING!!! Katy wants a lip balm that actually works in this frigid, dry Canadian climate. Valerie learned that spending way too much time on social media gets to be really negative at times & makes her feel oogy inside which she doesn’t like. Katy learned how enabling Instagram can be when she came across Prairie Girl Danie’s Mama Vertebrae cardigan! Now she wants one! 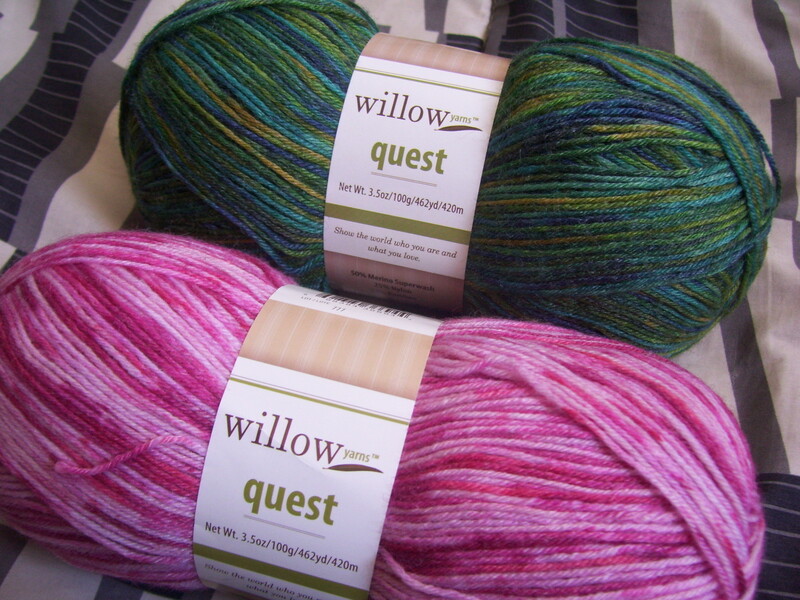 Valerie got all her new sock yarn in from Willow Yarns! She picked up a skein of ‘Peacock’ and ‘Pink Cockatoo’ in their Willow Quest base, and 2 skiens of “Accent” in their “Attire” base which is 100% superwash extra fine merino! She’s got lots of socks planned out for this yarn! 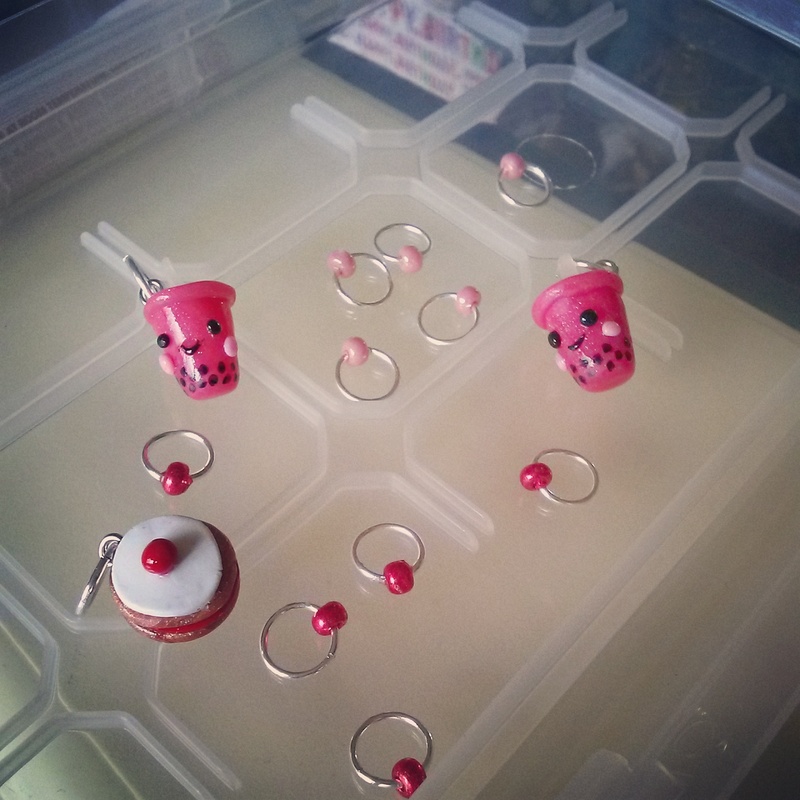 She also received a journal from Katy only it has Butterflies on it and some stitch markers including a polymer clay bubble tea stitch marker. Katy got a new journal from the Book Outlet and has been journaling. She also picked up Cinder and Scarlet by Marissa Meyer. Her Mom made her some beautiful fingerless gloves for Valentine’s Day with little sequins in the yarn and a heart lace motif on top ❤ And Katy won a prize!!! She won the Triple Swell Hat by Lucia Pane from the Prairie Girls Knit and Spin Podcast!! She plans to cast on with some stash yarn as soon as she finishes a couple things. We both love Desert Vista Dyeworks’ new colourway ‘If They Kill Carol’ (a Walking Dead colourway). Even though Katy doesn’t watch the show, she loves all the burgundy tones and the speckles in the stripes. Her other two colourways, ‘If they kill Rick’ and ‘If they kill Darryl’ are pretty awesome as well! 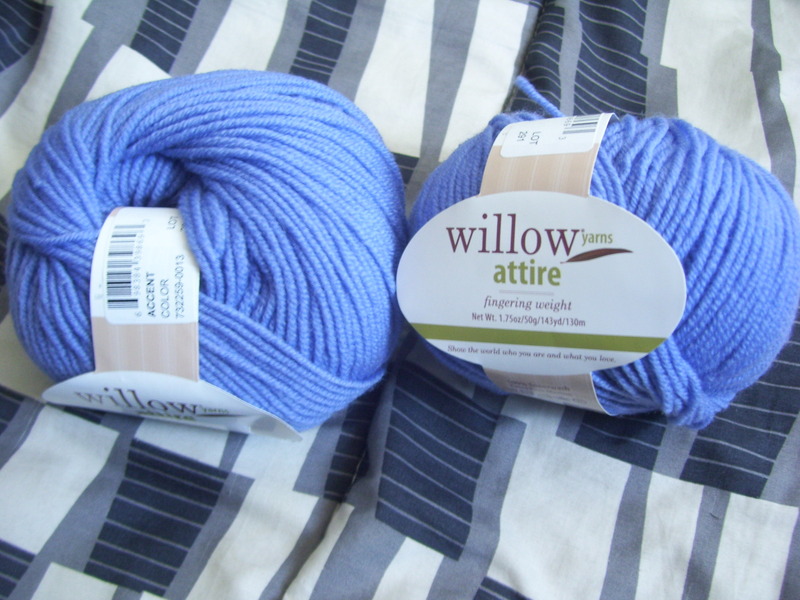 Valerie loves Dr. Who – Vincent & The Doctor by Quare Fibre in Sparkle Sock base! Actually, Katy’s been looking at that one for a long time as well!! 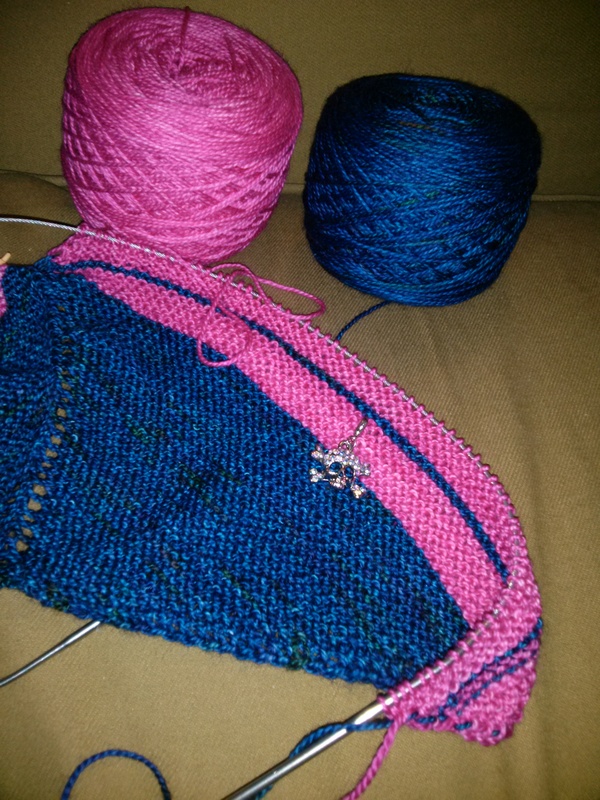 Katy would also love some Malabrigo Arroyo in ‘Aquos’ to make Kelly Brooker’s Mama Vertebrae sweater. Prairie Girl Danie made a stunning one using the colourway ‘Prussian Blue’ and paired it with an awesome, nerdy Starlord T-shirt. So Katy was inspired. Val is watching The Walking Dead and Broadchurch. Also she’s looking forward to watching the Oscars for all the fashion and Go Eddie Redmayne!!! Katy isn’t watching much of anything, but she is reading Clockwork Angel by Cassandra Clare and also The Clockwork Scarab: A Stoker & Holmes Novel by Colleen Gleason. She’s loving both books very much. Katy also would like to watch some of the Oscars – Go Benedict 😉 !!!! « Episode 17 – No I DON’T want to build a snowman!! !